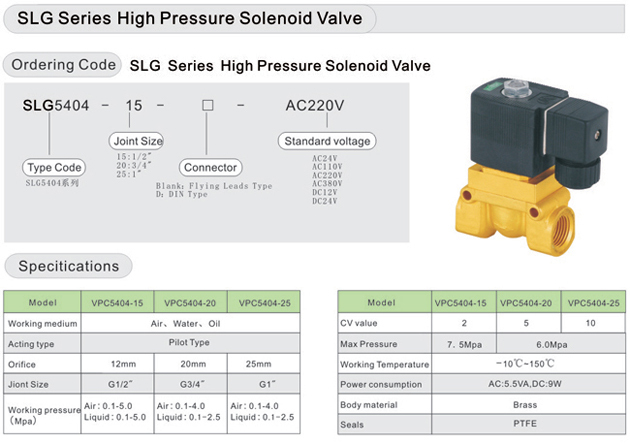 SLG5404 series high pressure solenoid valve, max working pressure: 75 bar, equiped with the PTFE sealing, the max temperature is up to 150 centidegree. Oriffice have three options, 12mm, 20mm and 25mm, port size have 1/2", 3/4" and 1", Din connector type and flying leads type. 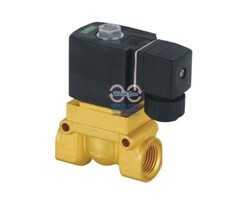 ต้องการข้อมูลเพิ่มเติมเกี่ยวกับ โซลินอยด์วาล์วแรงดันสูง Solenoid Valve SLG5404 Series High-Pressure ?